How does Crédit Agricole stay local while operating multinationally? 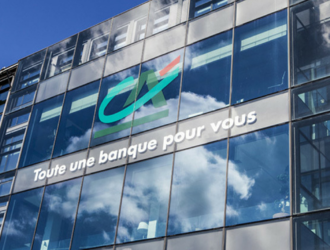 With a 23.3% market share of French household deposits and total assets of €1.72tn, Crédit Agricole is France’s second largest bank. Perhaps less known is the fact that the bank is a co-operative. Through a network of local credit co-operatives and a number of subsidiaries, in France and abroad, it provides retail, corporate, insurance, and investment banking services. We spoke to Pascal Delheure, deputy general director of Crédit Agricole’s national federation, to learn how the group has sought to stay loyal to its co-operative roots while remaining competitive in a tough market. The bank emerged at a time when the agricultural sector struggled to find affordable credit. In 1884, France passed an act allowing freedom of association, breaking the Jacobin centralised tradition. On 5 November 1894, members of farm unions were authorised to set up Crédit Agricole’s local banks. “Our values have always been community, responsibility and solidarity. They have not changed but the world has,” said Mr Delheure. The value of community is twofold, bringing a geographical presence in local communities and fostering relationships with people who lived in them. With 39 regional banks, 27 million retail customers in France, Crédit Agricole serves a wide range of customers, including farmers. Mr Delheure says the bank still strives to support people and help them develop, something determined by its values of responsibility and solidarity. It has helped the agricultural sector during multiple crises as well as helping it keep up with the rapid changes of modern society. This includes developing financial tools to help people deal with issues such as job losses or restructuring. To support rural areas, Crédit Agricole developed a network of start-ups across 25 villages, connecting aspiring entrepreneurs with established enterprises. The bank now plans to roll out the initiative to other countries. “We create wealth within the territory and we stay there,” adds Mr Delheure. Regional banks can also experiment with providing new services. If these are successful, they can be implemented in other territories, as well as nationally. Does the growing importance of digital services pose a threat to its model? Mr Delheure says Crédit Agricole gives clients a range of digital services while focusing on one-to-one advice and support in its branches. Last November, it introduced a low-cost online banking service. The EKO service, created to address competition from fintechs and other online financial providers, will provide an account, debit card, mobile app and access to local branches for €2 a month. The bank hopes the app will help customers improve their budgeting by sending alerts when their account balance is below €20, if they don’t have an authorised overdraft. They will also gain access to other services offered by the bank, such as credit, insurance or saving. Just like Crédit Agricole itself, Mr Delheure feels very connected to his local roots. He joined Crédit Agricole’s local network in Aveyron in 1984, and has been with the mutual ever since. “I am Aveyronnais, French, European and a global citizen, in this order,” he says.